Nobuaki Kanazawa was born in May 1972 and is the eldest of three sons of Hirokazu Kanazawa Soke, founder of SKIF. Nobuaki Kanazawa started karate at a young age, but concentrated more on basketball during his teenage years. However upon entering Taishō University, he decided to practice karate more seriously. He found his natural talent in Karate and started to compete and won many notable championships over the years. After graduating from university he decided to follow the instructors training course at the SKIF Honbu Dōjō in Tōkyō. As a young instructor his focus was mainly on teaching at the Honbu Dōjō and self training as a competitor. 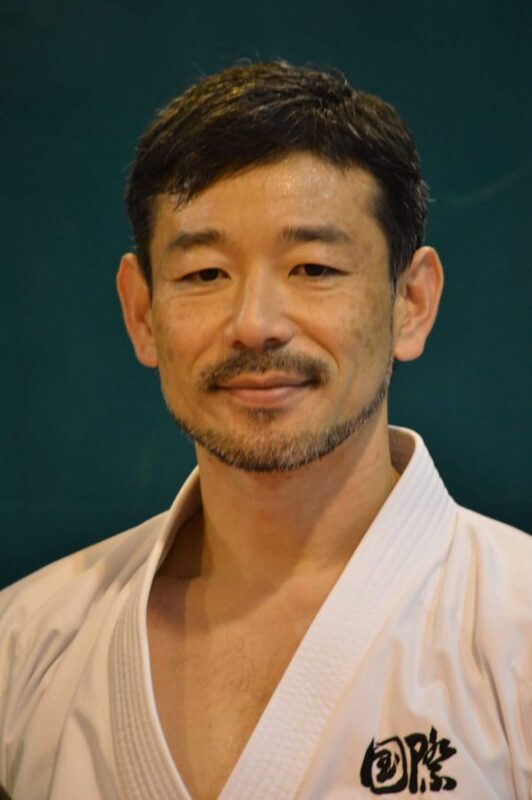 He was a five times winner of the SKIF Japan National Championships from 1996 up to 2000 and won the silver medal in kumite at the SKIF World Championships in Yokōhama/Japan in 1994. In the year 2000 he won his biggest title at the SKIF World Championships in Bali/Indonesia, not only winning the heavy-weight kumite gold medal but also winning the Grand Champion title. During several years Nobuaki Kanazawa was also member of the Japan Karate Federation all style national team. 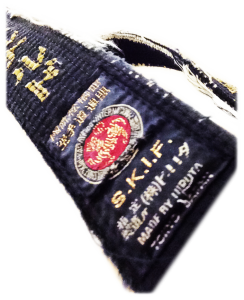 (JKF, the governing body for karate in Japan). He won the Tōkyō Metropolitan Championships three times and made it into the top three of the JKF National Championships six times. After retiring from competition he decided to fully step into his father's footsteps and started travelling all over the world to instruct SKIF karate. He is currently 8th dan and in April 2014 he took over the position of Kanchō from his father.